The entry doors frame and doorjamb, will be cleaned, sanded, and refinished to match the interior coloring. The doorstep treads will be refinished. The cockpit instrument panel, overhead panels, and side panels will remain as existing and be cleaned. The sidewall panels will be removed from the aircraft, and stripped of old material. The panels will be recovered in a matching color coordinated material. The cabin vanity area will be completed in matching coloring to main cabin areas. The seats will be removed from aircraft and stripped of old material. The mechanical functions will be inspected for any defects, and if any found, would be repaired or replaced with prior customer approval on a time and material basis. The frames will be inspected for damage, cleaned, sanded, and painted a matching color. 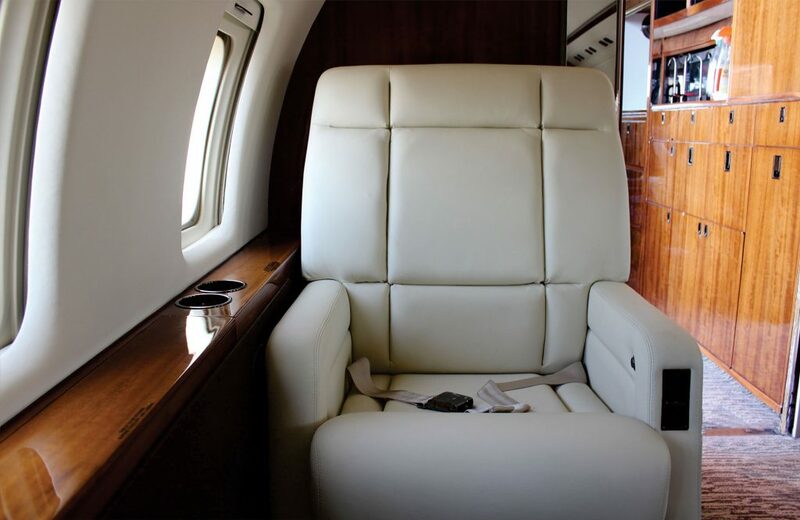 The seats, seat trim, arm rests, and lower shrouds will be reupholstered in selected leather. All existing hardware will be retained and reused. The existing headliner and window panels will be removed from aircraft. All materials will be stripped from the headliner. All window frames/ panels, will be inspected for damage, and if found will be repaired / replaced as per customer approval only. The oxygen system, indirect lighting, reading lights, and air gaspers will be cleaned, retained, and reinstalled. Any defective units will be repaired/replaced upon customer approval. The headliner will be reupholstered/recovered in “Ultraleather”. 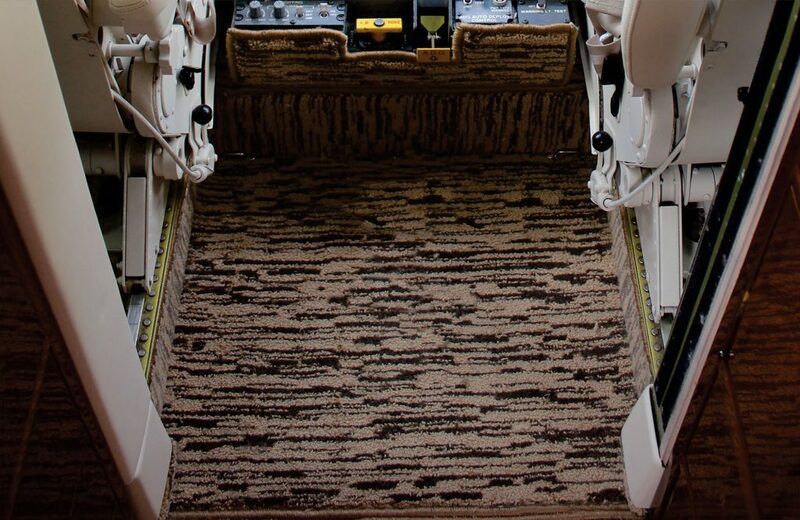 New carpet will be installed throughout the aircraft where it presently exists. Any exposed edges (space permitting) will be machine serge in a matching color. Where necessary, the floor carpets will be attached with Velcro for removal and maintenance. The pilot and co-pilot bulkheads will be removed (if necessary), cleaned, inspected for damage or necessary repairs, and reinstalled. No wood work will be done. We offer fire blocking and any other certifications you may need. All repairs or replacements will be carried out on an client-approved basis. 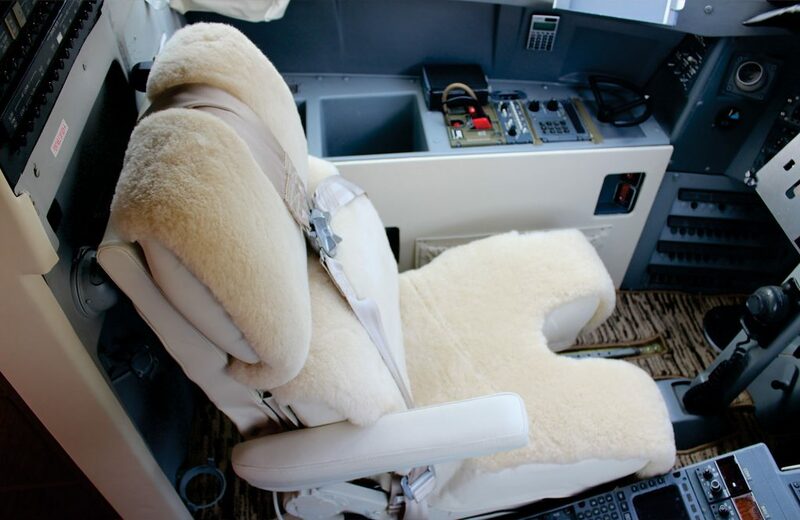 Quality work with the best materials assures that your airplane not only has your passengers in awe, but you as well. Our goal is to provide quality work at a fair and reasonable price with minimum downtime. 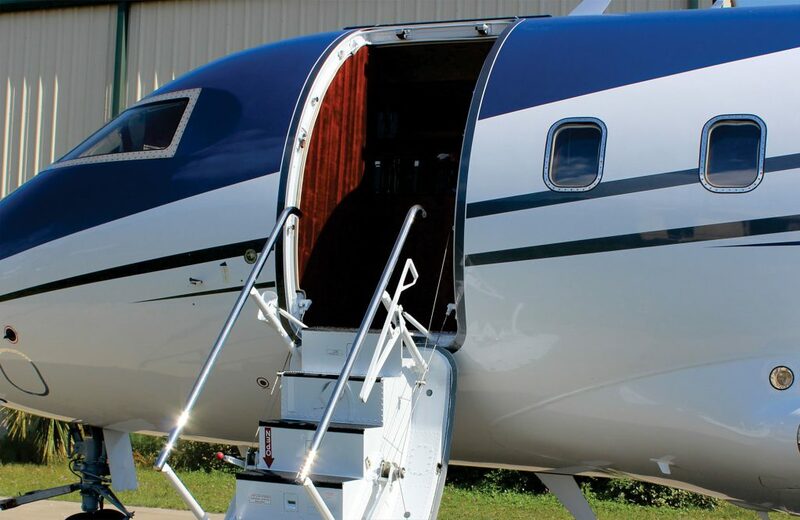 We are an ideal destination for your aircraft service needs. 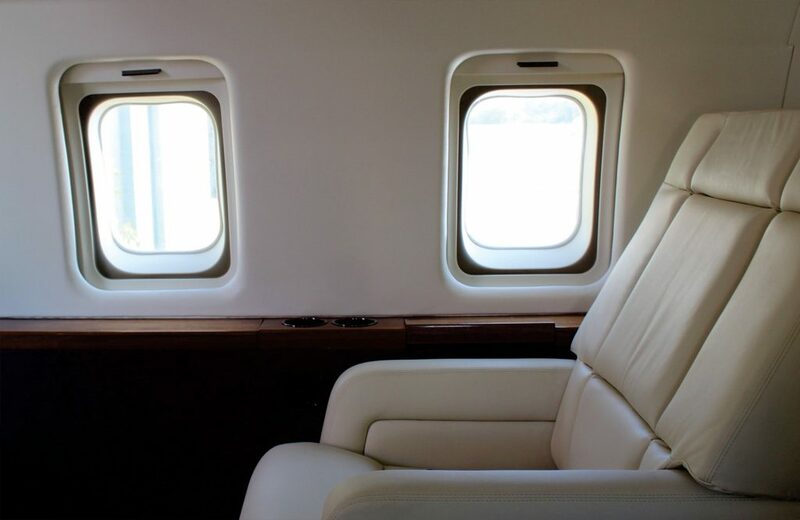 Our company can accommodate aircrafts for paint and interior, ranging from experimental to Global Express. Additionally, you can change the color of your existing seat leather to a color of your choice. We dye almost any leather to the color you want without replacing a thing. 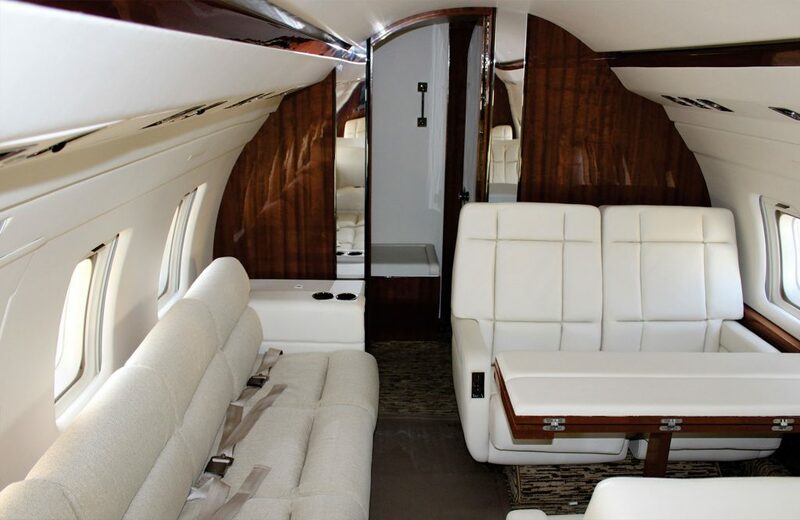 East Coast Aircraft specializes in creating the look you want with our quality interior refurbishing service.